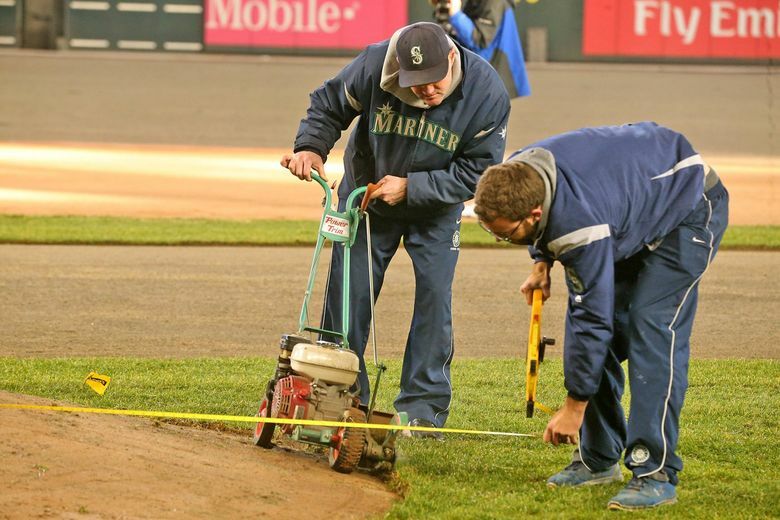 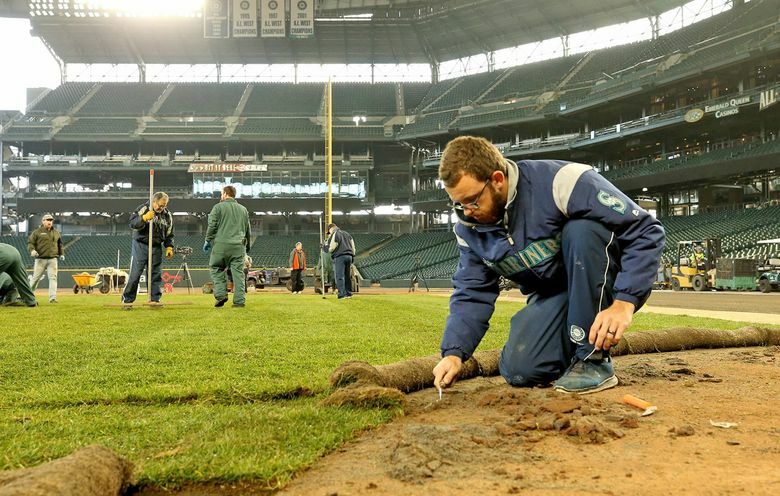 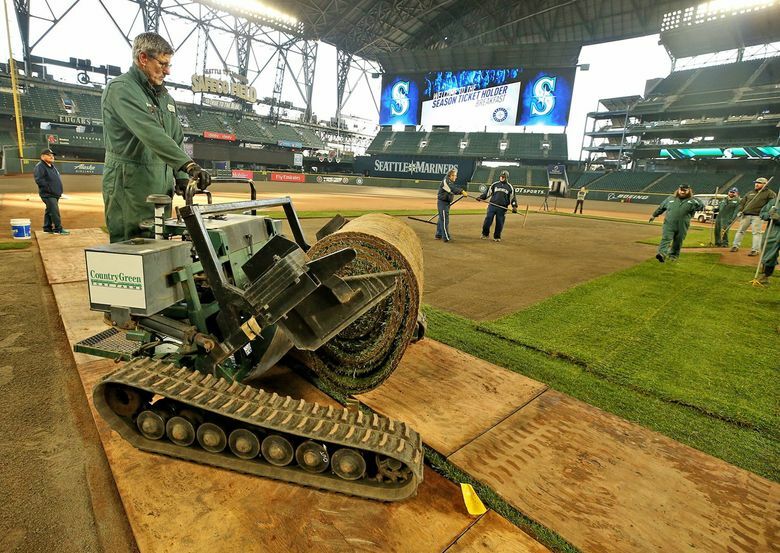 Mariners groundskeepers rolled out new sod at T-Mobile Park on Friday to replace the grass that was killed after the field was used for Enchant Christmas, the massive holiday event that put an ice-skating trail and the world’s largest light maze on the former Safeco Field. 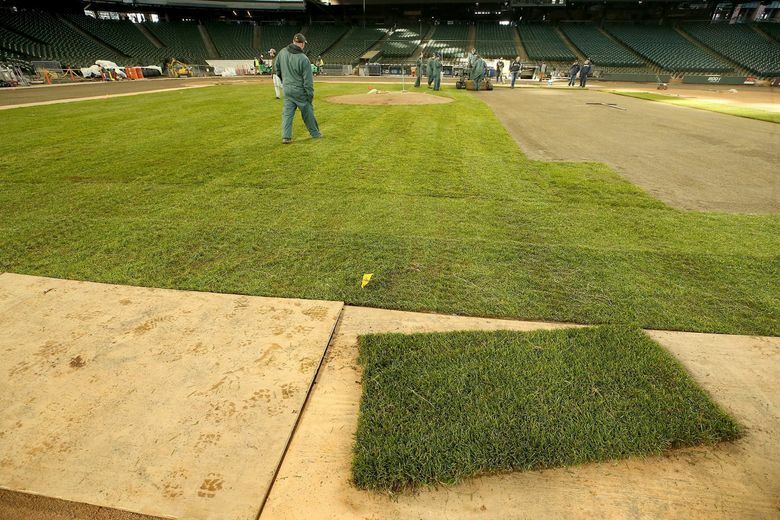 Country Green Turf Farms, based in Olympia, supplied the new grass turf. 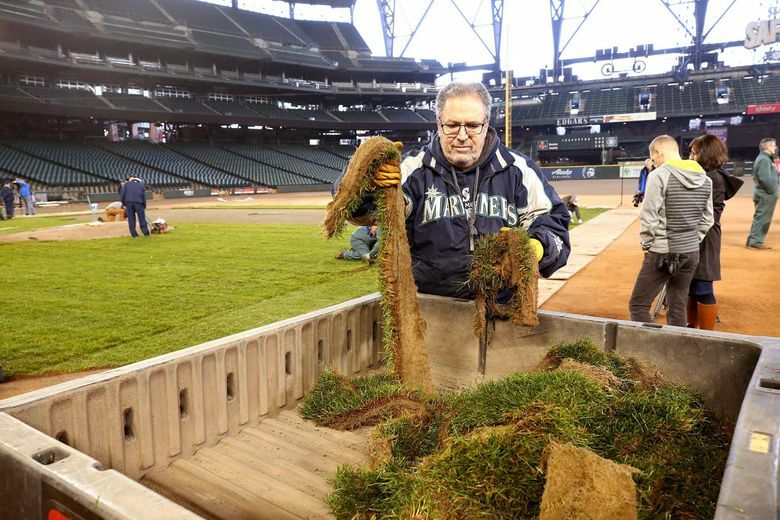 Head groundskeeper Bob Christofferson says it takes about 100,000 square feet of sod to replace the dead grass.